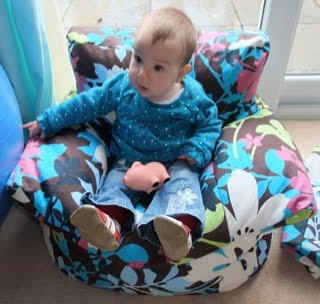 Just an updated list of fabric available should you wish to purchase a lovely beany chair. I need about 2 weeks notice if you want to give them as presents etc. so bear that in mind if you want to make an order. The cost for a fully made, filled chair is 30 quid but if you want to supply your own material the cost is 20 quid. Might have to be creative with delivery/collection for the filled chairs.